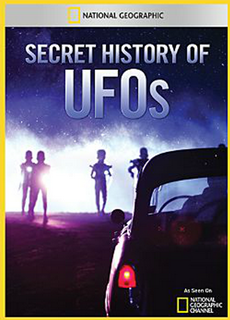 ringing together eyewitness testimony, expert opinions and archival video and photos, Secret History of UFOs investigates some of the greatest landmark UFO sightings in history. From the most infamous alleged alien visit of all, the 1947 Roswell crash, to the V-shaped lights captured on film over Phoenix in 1997, this show charts the wildest UFO encounters on record and explores whether they are credible. Are these sightings mass hallucinations, the result of top-secret military experiments or naturally occurring phenomena?